An example of a care kit which includes clean syringes, bandages, sterile wipes and a clean cooking container is demonstrated at Chattanooga CARES on Friday, April 6, 2018, in Chattanooga, Tenn. Chattanooga CARES has implemented the city's first syringe exchange program, which provides clean syringes in exchange for used needles in an effort to reduce HIV and hepatitis infections among intravenous drug users. Tennessee is one of the states hardest hit by hepatitis C, and the opioid epidemic is largely to blame, according to a new report. On Wednesday, HepVu released an interactive map visualizing state-level estimates of people living with hepatitis C between 2013 and 2016. About 2.3 million people in the United States are living with the virus, with a high burden in the West and in some Appalachian states — Kentucky, West Virginia and Tennessee — heavily impacted by the opioid crisis. An estimated 69,800 people — a rate of 1,380 for every 100,000 — have hepatitis C in Tennessee, according to the report. Tennessee and Arizona are the two states that are both in the top 10 for highest prevalence rates and highest number of persons living with the virus. Project director Heather Bradley, an epidemiology professor at Georgia State University, said it's important to visualize the burden of hepatitis C alongside the burden of the opioid epidemic, because injecting drugs with infected needles helps spread the virus. 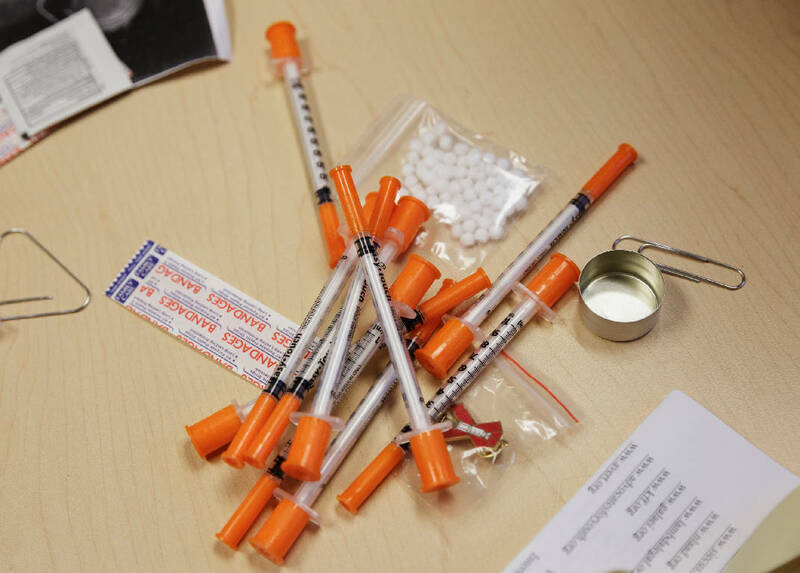 "The intersection of opioid misuse and hepatitis C is really a critical public health priority," Bradley said during a Web briefing. Hepatitis C is a curable, blood-borne virus but remains the leading cause of liver morbidity and mortality in the nation. Most Americans living with the disease are Baby Boomers; however, 80 percent of new hepatitis C infections in the U.S. are transmitted through injecting drugs recreationally, according to the U.S. Centers for Disease Control and Prevention. Although many people have been successfully treated for the virus, another challenge to controlling the spread is that people often don't know they're infected. Those born between 1945 and 1965 or people with a history of drug use should be tested. Providers are required to report new cases of hepatitis C in Tennessee but not every state, so state-level data for hepatitis C is limited. Dr. Patrick Sullivan, professor of epidemiology at Emory University, said weak data is one of the most critical challenges in the national response to hepatitis. "Accurate estimates of the burden of hepatitis C infection in each state are essential to inform policy, programmatic, and resource planning for elimination strategies across the U.S.," Sullivan said in a statement. "HepVu seeks to provide a comprehensive picture of the disease's impact on states to inform researchers and public health decision-makers' prevention and care efforts." The report used a combination of national and local data from Emory University, the State University of New York at Albany, and the CDC and was published in JAMA Network Open. To estimate state-level prevalence, researchers analyzed blood test results from the nationally representative National Health and Nutrition Examination Survey, vital statistics data, hepatitis C mortality data and narcotic overdose deaths, as well as accounted for underrepresented populations, such as homeless people.